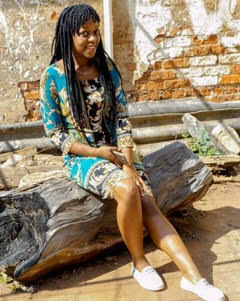 CHINHOYI- Chinhoyi University of Technology (CUT) student Ellain V.I Mazwati is set to hold an art exhibition in Chinhoyi on the theme titled Dura. The three-day exhibition will see 22 year-old Mazwati, who is studying towards a Bachelor of Science Honours Degree in Creative Art and Design at CUT, showcasing her drawings, paintings, photography, graphic design and 3D artefacts, among others. The exhibition will be held over three days from 5-7 November at CUT Hotel boardroom 2 and is open to the public, while entry is free. “It’s going to be a three-day exhibition from the 5th of November to 7th of November at CUT Hotel boardroom 2, starting from 8am to 5pm, but the official opening is on the 5th of November starting from 4pm to 5pm,” said Mazwati. The budding creative artist, who did her internship at Spectrum Advertising, said the exhibition would take the audience through her journey as a creative art and design student. “The exhibition will cover everything that I learnt during my time at Chinhoyi University of Technology, from my first to my final year focusing on photography, three-dimensional design, graphic design, advertising, and fashion, just to mention a few,” said Mazwati. According to Mazwati, the theme of the exhibition, Dura, seeks to share the preserved ability to design that is within Mazwati, showcasing aesthetics and functional art found in very simple objects which “we happen to see every day”.